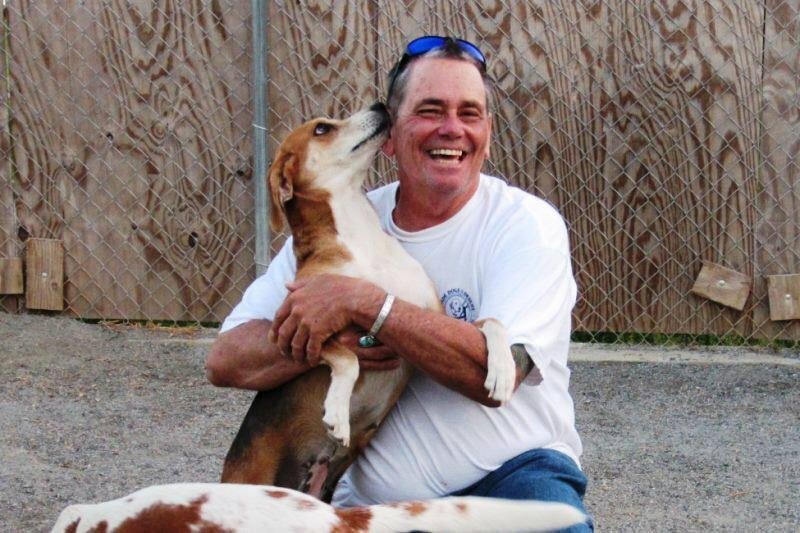 Our Founder - Herb Moniz - Carolina Veterinary Asst. & Adoption Group, Inc.
Herb Moniz was born in Long Beach, California in the mid fifties. In 1964. his family moved to Cherry Valley, California and lived close to two Thoroughbred horse ranches. It was on these horse ranches, that Herb first learned to care for animals on a professional basis. Herb was in heaven on earth! The important skills learned on these ranches, was the foundation for his current success and aptitude for animal care. As a child, he spent many hours with his family at various animal attractions throughout Southern California. They frequented the Palos Verdes Bird farm, Griffith Park, and Marine Land, to name a few. Each time, he came away with more and more enthusiasm for God’s creatures. He loved visiting the animals so much, that at the age of four, he accidentally fell into the chimpanzee pit at the San Diego Zoo! He sat on sub committees for the Valley Wide Animal Campus, helping to create policies on humane treatment and care for animals. The Valley Wide Animal Campus is a multi-million dollar facility that was started as a result of an undercover video tape shot by volunteers working with him at another local shelter, exposing horrible conditions. Working with several Federal, State and Local agencies, Herb orchestrated and flew in animals to Palm Springs Airport in the aftermath of hurricanes Katrina and Rita. The airlift efforts were sponsored by T. Boone Pickens, a Texas oil tycoon, and his sister in-law, as well as reknown animal rescue advocate, Michael Arms with many others. Through his seminars Mr. Arms has inspired Herb to be the best he can be at sheltering and caring for homeless animals. In 2007, Herb moved away from Southern California to North Carolina to help a family member overcome breast cancer.